Think you shouldn’t be worried about compliance because your company is “too small to be noticed?” Think you don’t ship items that will get you in trouble? Think again. 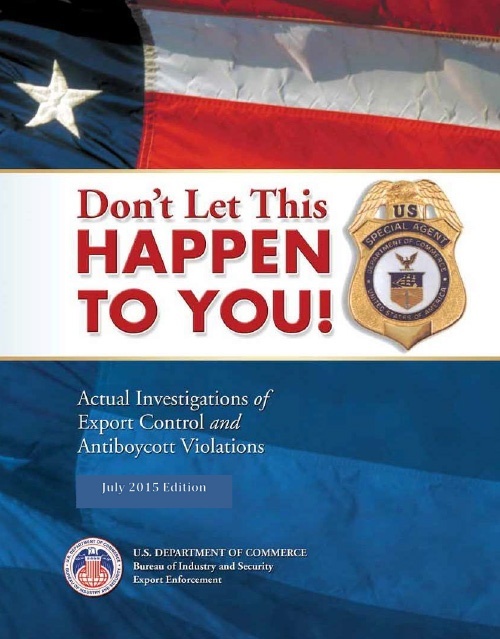 Get an introduction to U.S. export control rules and regulations by learning from real investigations of export control and antiboycott violations and their consequences. How to exercise your due diligence in meeting export control responsibilities. The financial and legal penalties of real people and companies of all sizes who violated export regulations. Resources that can help you make sure your company is in compliance with regulations.